Zimbabwe President Emmerson Mnangagwa invited opposition leaders to a meeting to draw up terms for a national dialogue, they said, following a brutal crackdown on anti-government protests. More than 20 politicians who contested July’s presidential election were invited, with Lovemore Madhuku and Noah Manyika saying they would attend. It would be the first meeting between Mnangagwa and opponents since he took power from Robert Mugabe in November 2017. Manyika believes conditions were not yet right for meaningful dialogue, which could only happen if the hundreds detained during the crackdown were released and soldiers withdrawn from streets and checkpoints. “It can only take place if, as the president promised on his return from overseas, the heads of those responsible for brutalising citizens roll,” Manyika said. On Tuesday, a nationwide strike by public sector teachers for better pay started patchily, as some stayed at home while others attended school but did not teach amid fear of further intimidation. On his return, Mnangagwa promised action against brutality by police and troops and called for a national dialogue. There was no immediate comment on the invitation from Mnangagwa or his spokesman. Nelson Chamisa, who heads the main opposition Movement for Democratic Change party and counts Manyika as an ally, could not be reached for comment. The MDC believes Zimbabwe is reverting to the authoritarian rule that characterised the regime of long-time leader Mugabe and said the election that confirmed Mnangagwa as president in July was rigged, an allegation the judiciary rejected. Many government workers demand wage rises and payment in dollars to compensate. On Tuesday the striking Zimbabwe Teachers Association (ZIMTA), the biggest teaching union, said most members stayed at home adding security agents had gone to some schools taking details of absent teachers. The union accused authorities of spreading fake news to discourage teachers from striking after state media reported the stoppage had been called off. “Report all forms of intimidation, we are building a dossier,” ZIMTA said in a notice to members. In schools around the capital, most teachers appeared to have turned up for work, but some were not giving lessons, witnesses said. 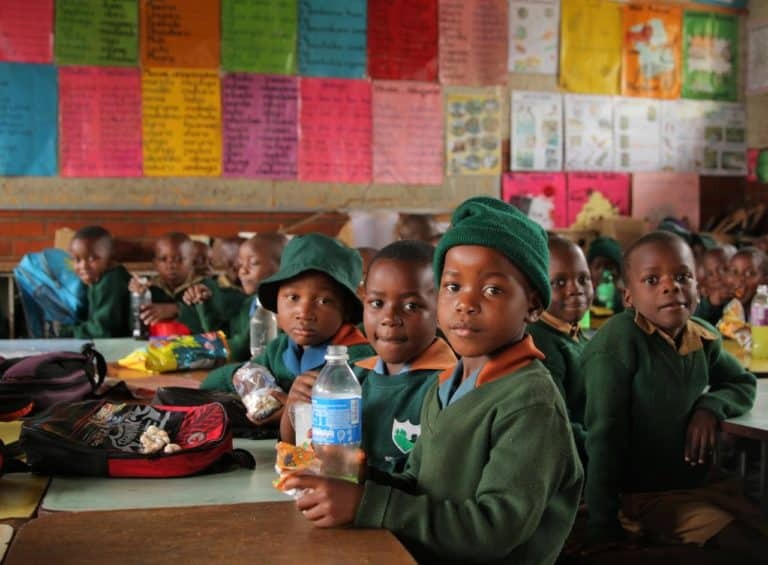 In a classroom at a primary school in Harare’s Mbare township, a Reuters photographer saw a teacher eating from her lunch box in class while pupils sat quietly.